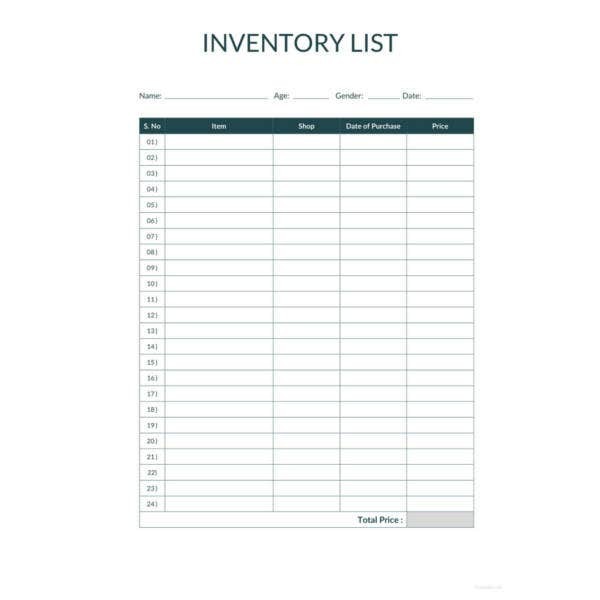 Inventory is the list of tangible goods, stock and property that a business holds. The content of these inventories varies from business to business. 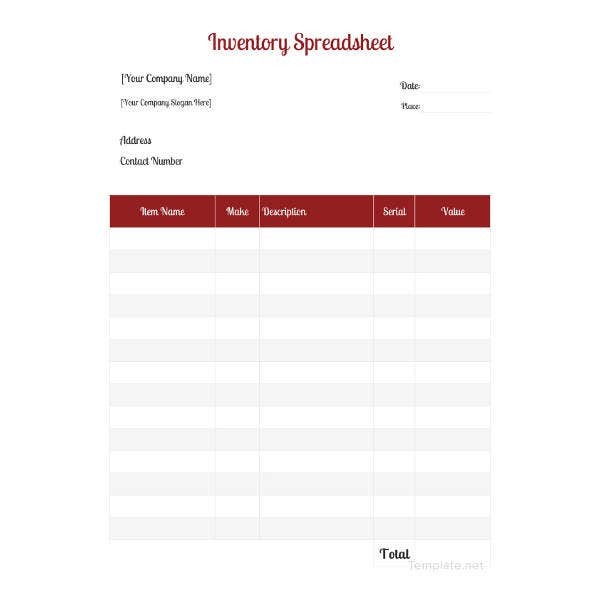 A restaurant inventory is going to be different from an insurance inventory. 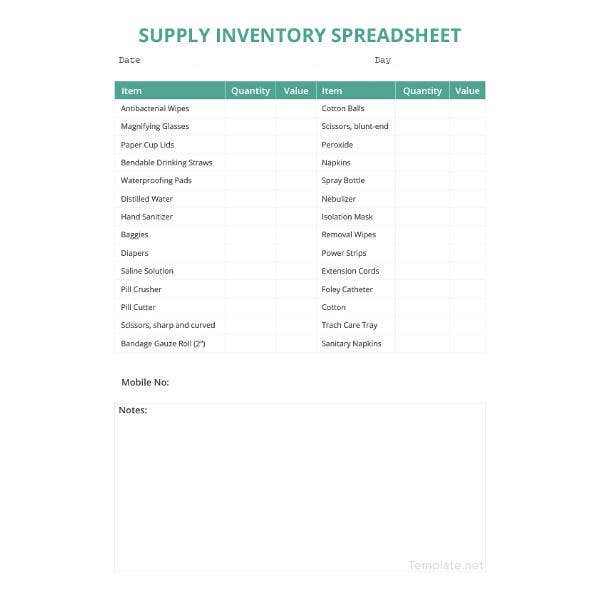 Infact, there is a separate discipline all together called inventory management, which is about managing and keeping track of such possessions. 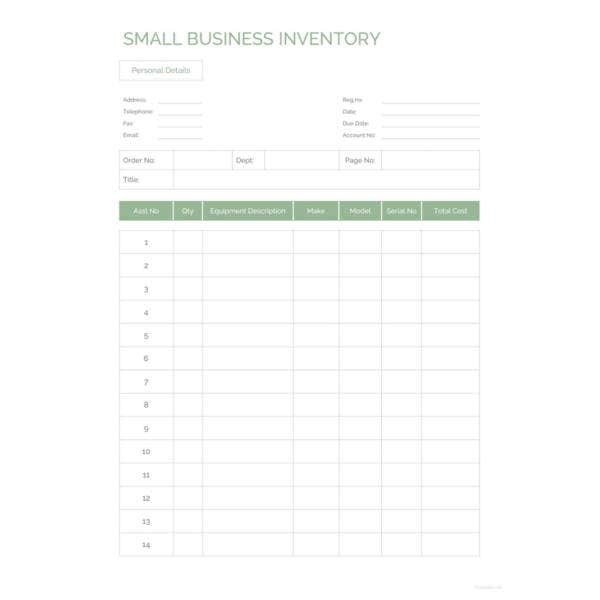 Inventories are essential for business owners and management. 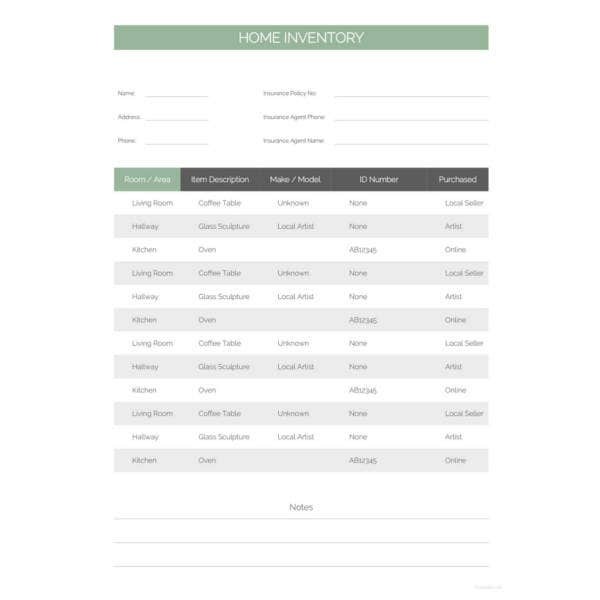 They can also be used at home for maintaining personal records or to keep track of possessions. 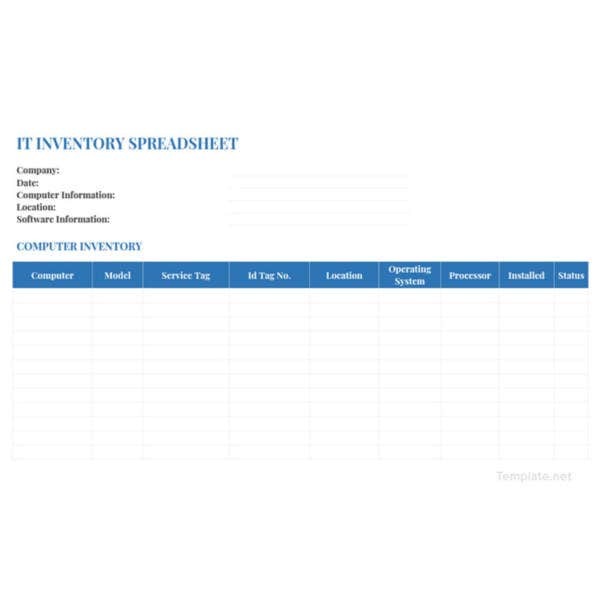 These inventories help you in better organization. They are essential for businesses with large operations. 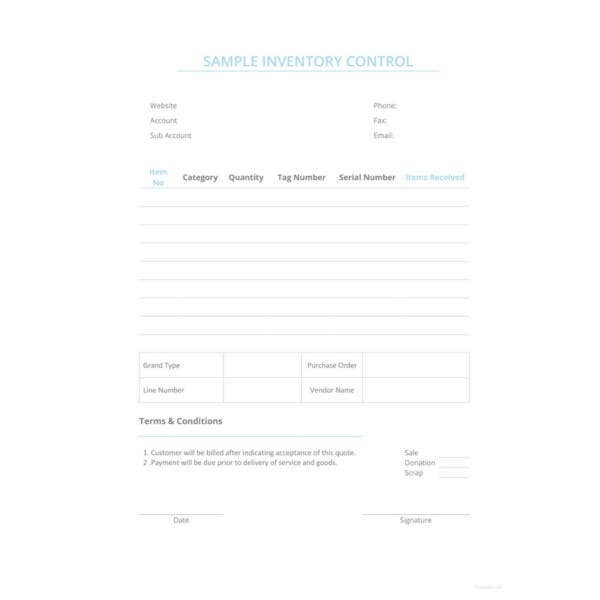 However when it comes to creating an inventory, it is not one of those easy things to do. You have to be careful of not missing out anything important which can take up a lot of your time. Hiring someone specifically for this work can also be a little costly. 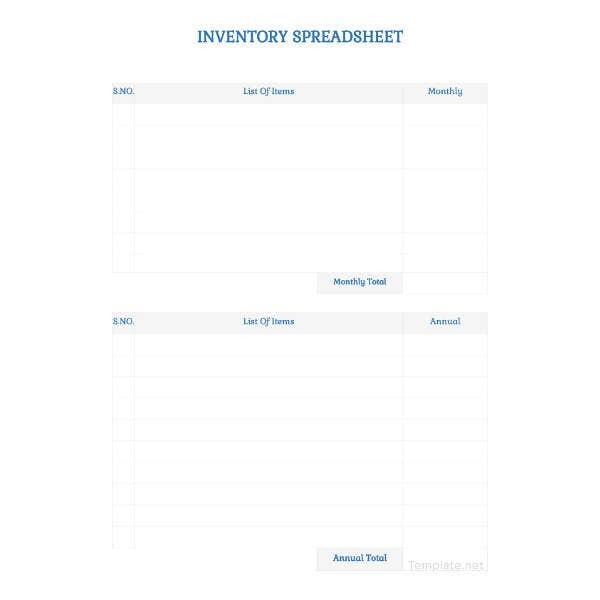 Therefore, to save you the time, money and resources we have a bunch of inventory templates, created by our professionals. They are easy to use and are compatible with Words as well as Excel document. 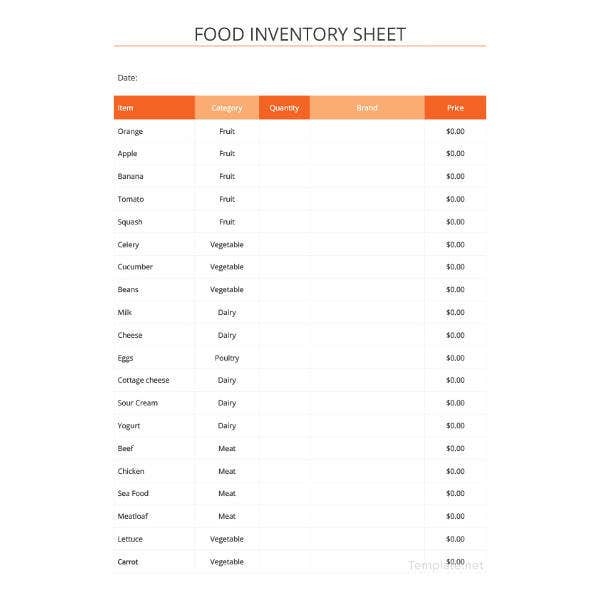 If you own a restaurant or a bakery or a food place you can download the given inventory as it would help you keep track of the availability of food. It can help you in improving profit and managing cost. A content involuntary contains a list of all the content of a website. 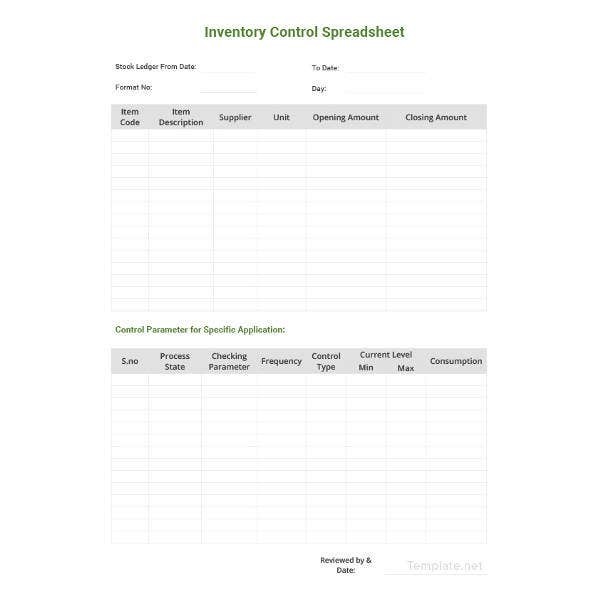 An inventory can help you easily audit the content and go further with the process of evaluation. Used mostly in grocery stores, this inventory can also be used in household for the same purpose, though there would be huge difference in the size. 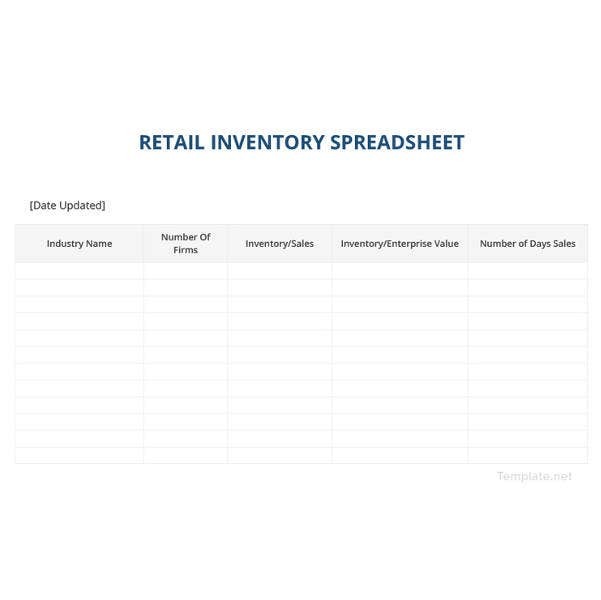 In grocery store inventory helps in analyzing grocery demands based on which the store can make orders. 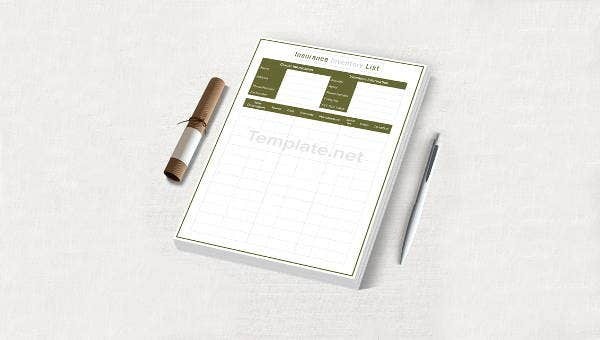 Download the given template and edit it on Word or Excel before printing. Getting an insurance is a smart business choice. Make sure it is bagged by insurance inventory. Managing a restaurant is not an easy job. Especially keeping track of the restaurant stock. This is where an inventory comes to your rescue. Downloading the template and get a quick access to customized restaurant inventory and edit it as per your requirement. 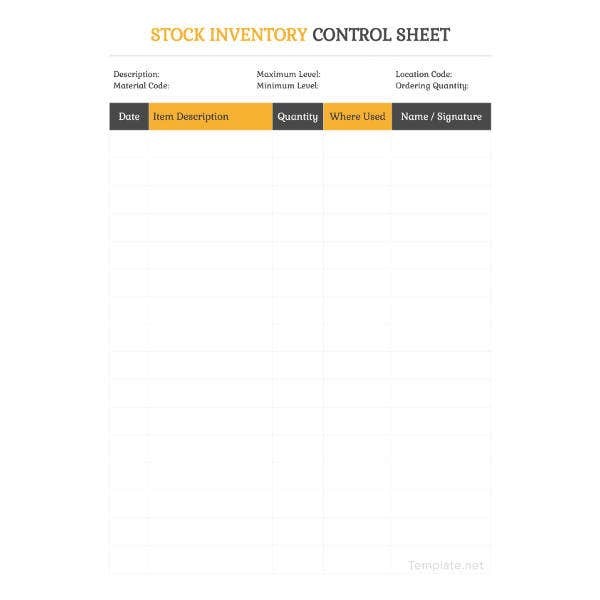 Inventory helps you in providing an instant access to the current stock available . 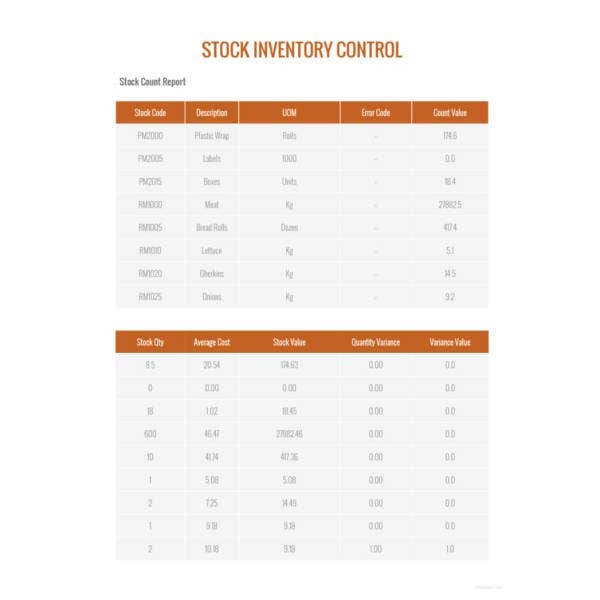 This steps helps in running the operations smoothly and keep the management updated with the stock records at any given point in time. These inventories helps in identifying patterns to analyse sale, create statistics and make observation. It helps in maintaining assets. When you know about the amount of stock you company holds and also the worth of these stocks, it becomes easy to manage them and put them in better use. With these templates thing have become all the more easy. Especially for small businesses who cannot afford to hire a professional for creating and maintaining an inventory. 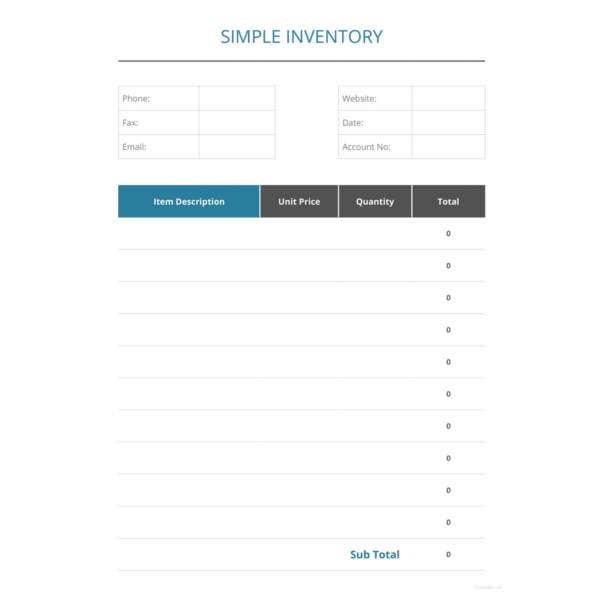 With an inventory template, you get a customizable format that you can easily edit and does not require much effort to create. You can quickly access your products and stock and other related details whenever you want. We hope these template turn out to be useful for you. They are easy to use and come in Word and Excel format and can be edited in these formats. Within no time of downloading these templates will you learn how to make an efficient use of these templates.